Can y'all believe it is September already? This year is going by super fast but at the same time just seems to be dragging on an on. 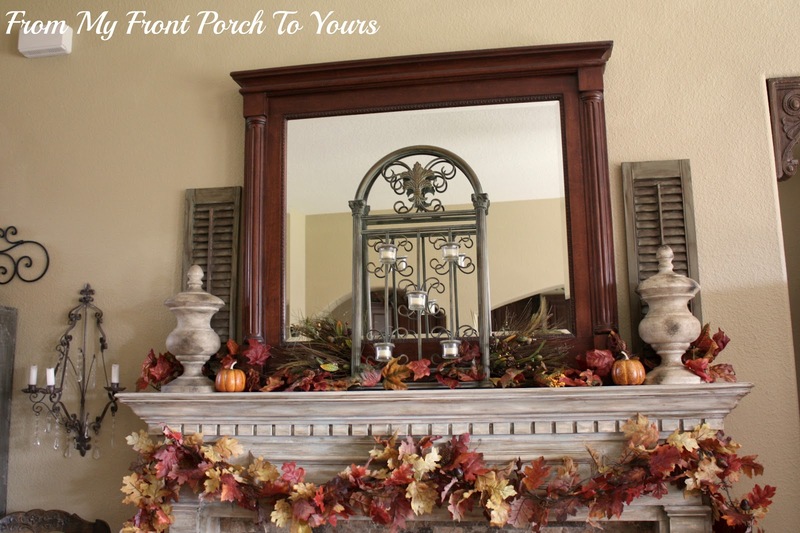 Since most of our year has been all about selling and building I thought that I would take us on a walk back down memory lane and share our fall mantel from 2012. I mean what better way to welcome September than with a little fall inspiration right!? So here is my post all the way back from 4 years ago! I finally stopped dragging my feet and was able to get my fall decorating completed. I was thinking the outside was going to be my first reveal but rain moved in this afternoon and I didn't get out there soon enough to take pics before hand. I did however get the inside pics done in time. I changed things up from last year. 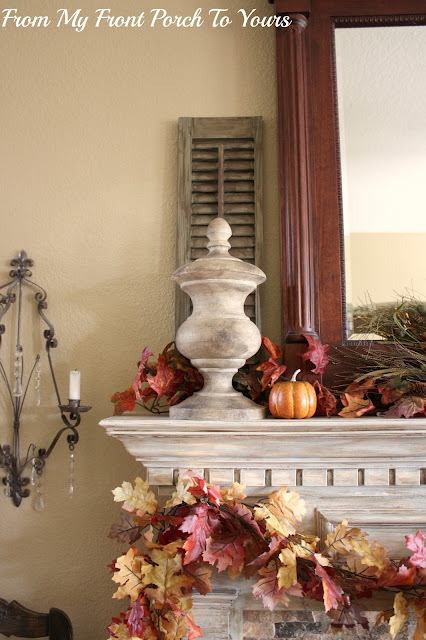 I pulled out my iron votive holder which I have used on the mantle before. Everything I already owned which was a great thing. I normally have to go out and buy a few things. 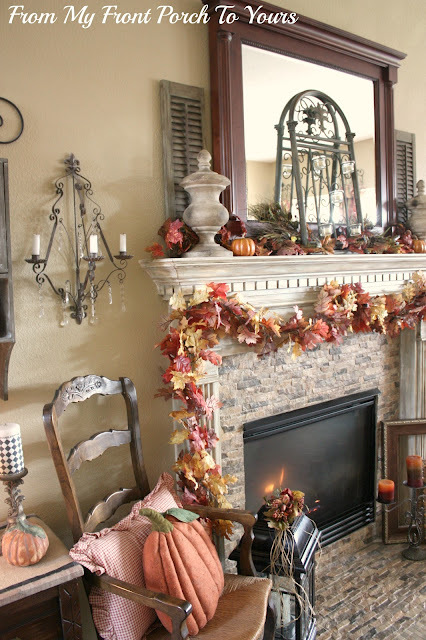 Well I did buy a few things but not for the mantle! ;) This finial I purchased back in July when we went to Ga to see the family. 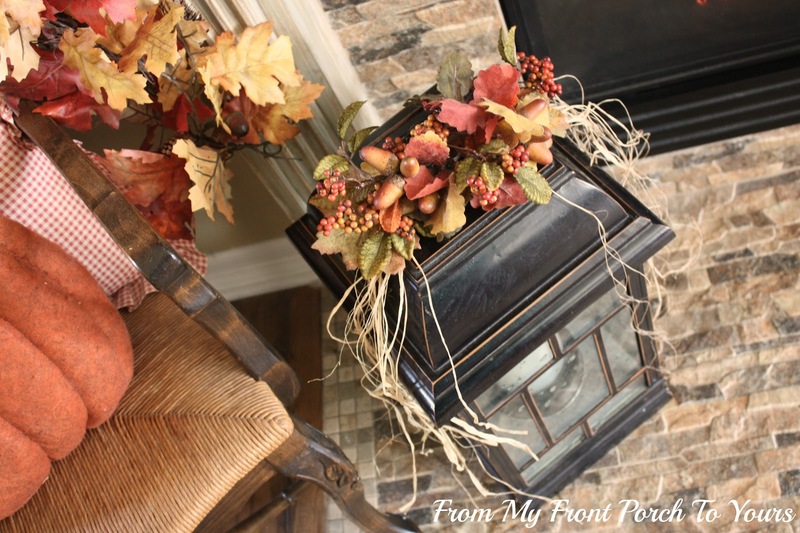 I got it at the Pottery Barn Outlet and had not used them till now. 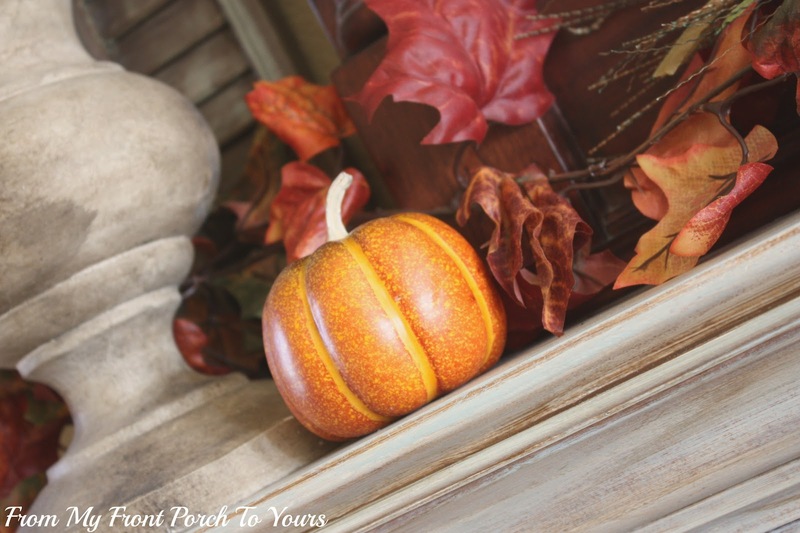 Addition of little pumpkins here and there. I decorated the lantern the same as last year. I changed this corner up just a tad with a larger pumpkin. I brought out my beloved pumpkin pillow for the chair. I thought that this picture turned out really pretty. There ya have it! 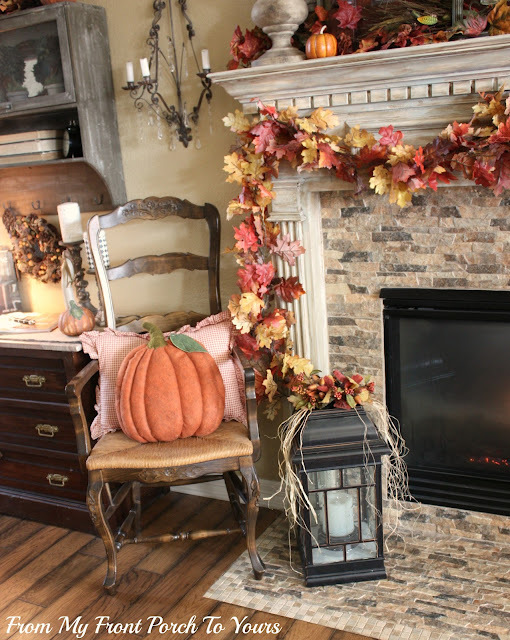 My fall mantle for 2012! 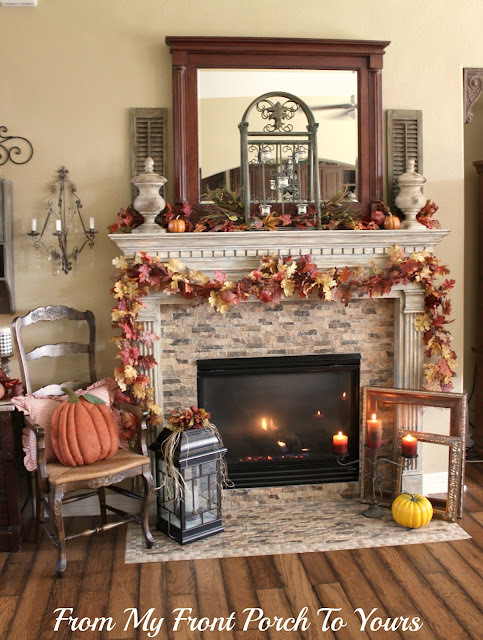 Yes, I had to turn the fireplace on to get the full effect even though at the time it was 85 if not hotter outside. 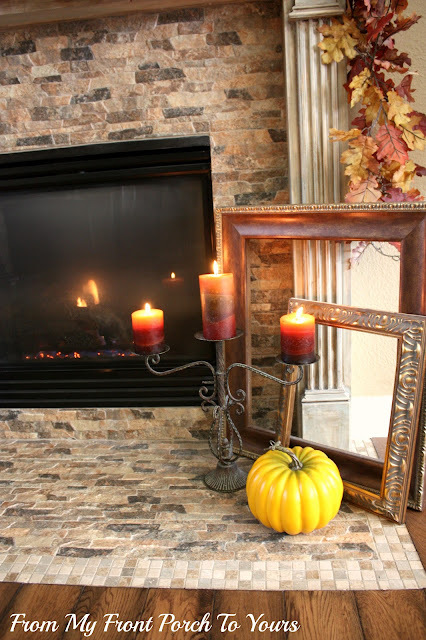 You can see my previous fall mantles here in case you missed that post. Which one is your favorite? 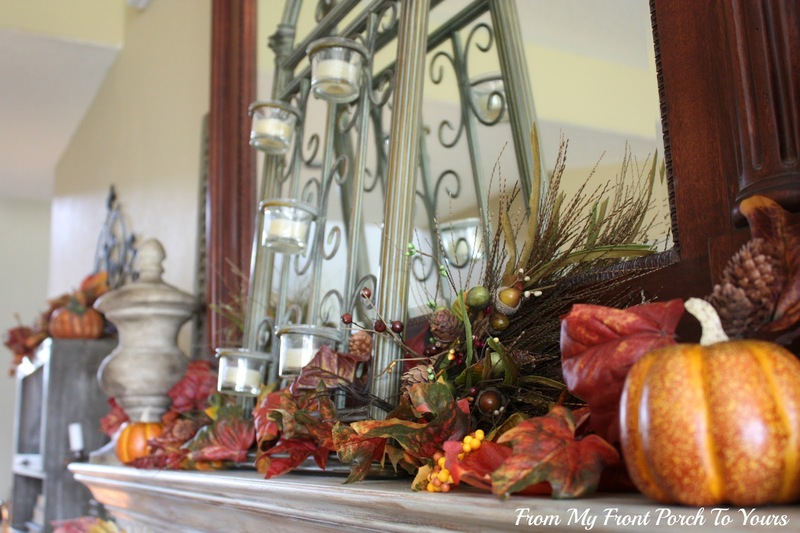 You can view our dining room all decked out for fall here.